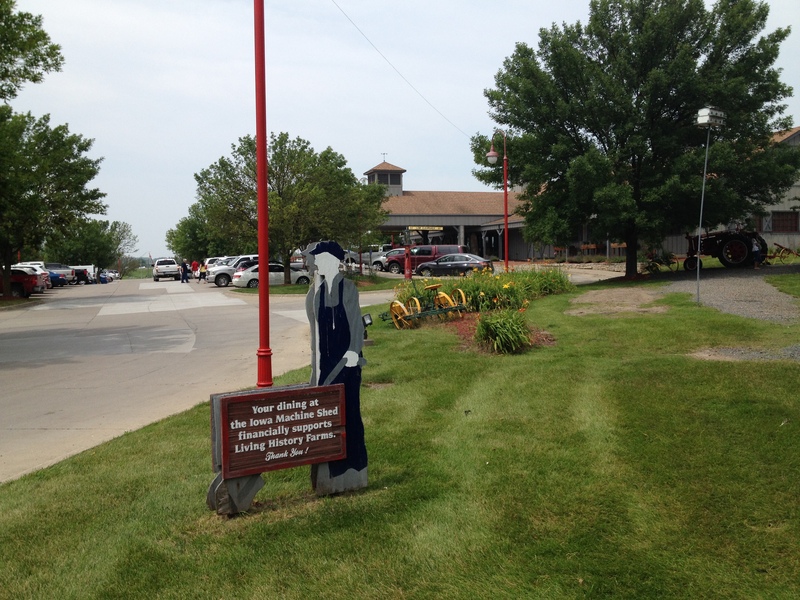 Since we moved in Iowa several years ago, we have dined in different restaurants here in metro Des Moines area. From formal to casual, from fancy to rustic, from pricey to low-cost, and from long-sit-down meal to on-the-run fast food. This also encompassed several international cuisines, like American, Chinese, Mexican, Thai, Italian, French, Vietnamese, Laotian, Korean, Japanese, Mongolian, Indian, Greek, Ecuadorian, and Lebanese. We also enjoy Filipino cuisine here, but it is not in a restaurant. It is my wife’s home cooking. 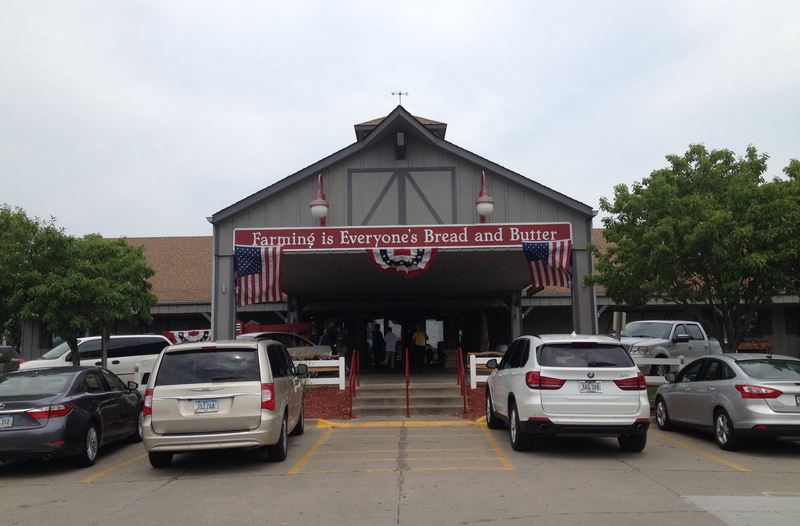 But when you’re in Iowa, I believe there’s a restaurant that embodies this state’s culture. 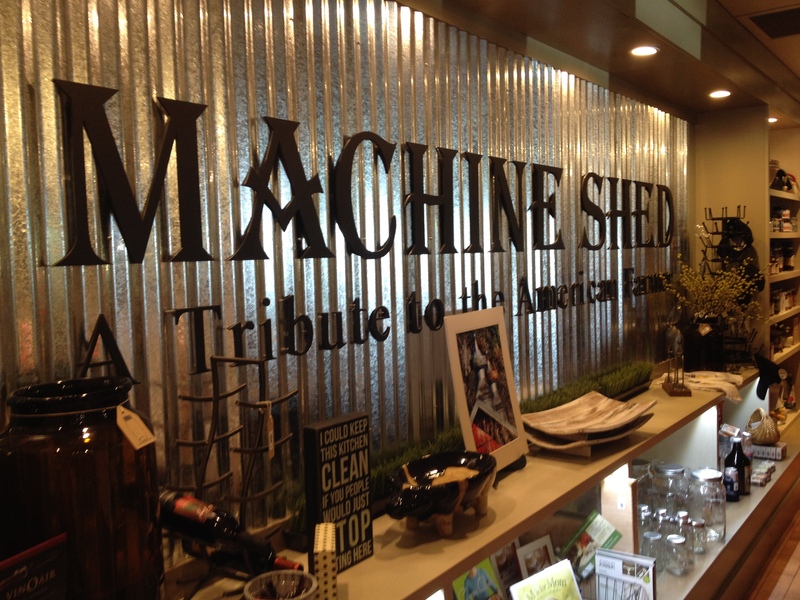 The restaurant is the Iowa Machine Shed. 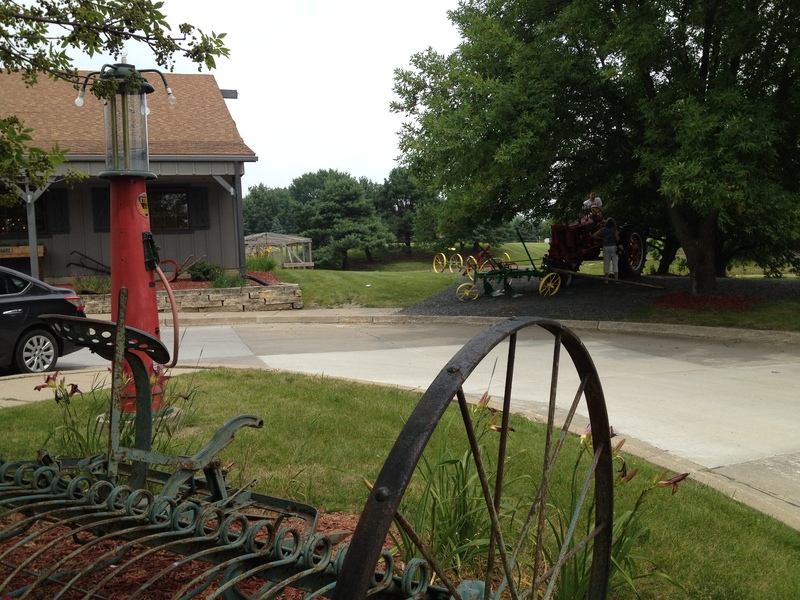 The ambience is farm-themed, and the dining experience is relaxed, warm and family oriented. 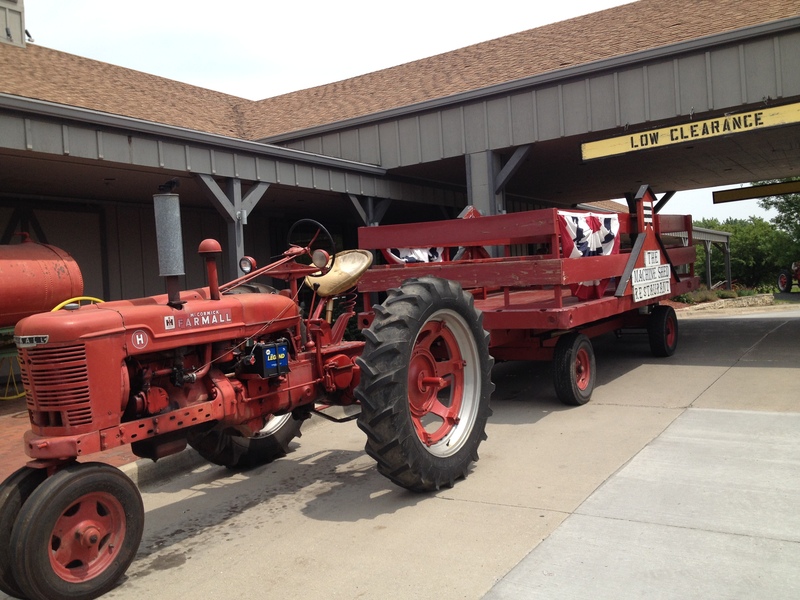 The establishment prides itself as a restaurant that honors the American farmer. 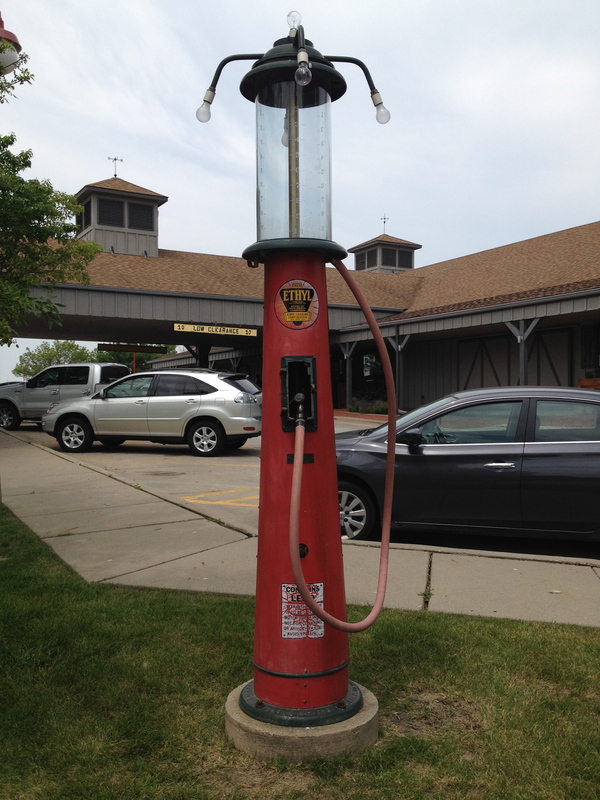 Outside the restaurant are some old farming equipments that adds to its distinctive appeal. 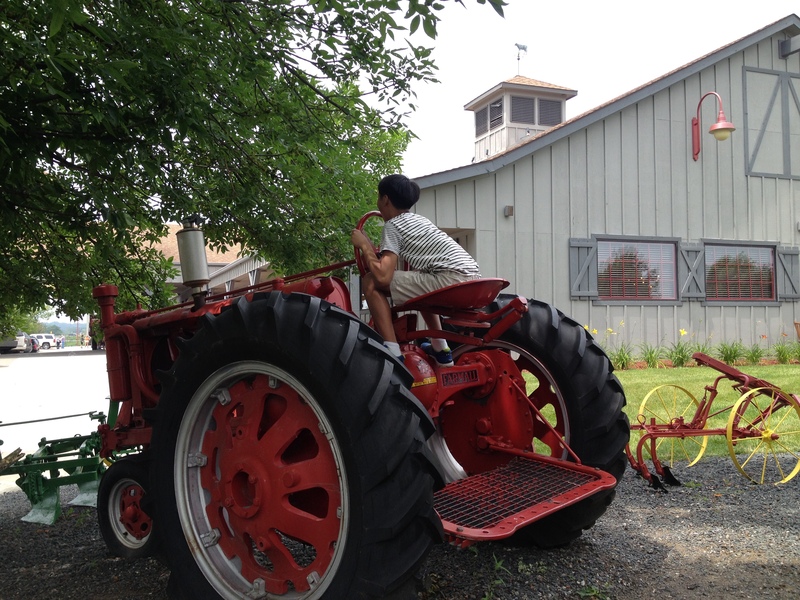 They even have a complimentary tractor ride that takes you around the neighborhood of the restaurant, and let you catch a glimpse of the “Living History Farm*” next door, that the restaurant supports. Since the state of Iowa is the number one producer of pork and corn in the US, and probably the whole world, so it is not surprising these are what greets you at the door. 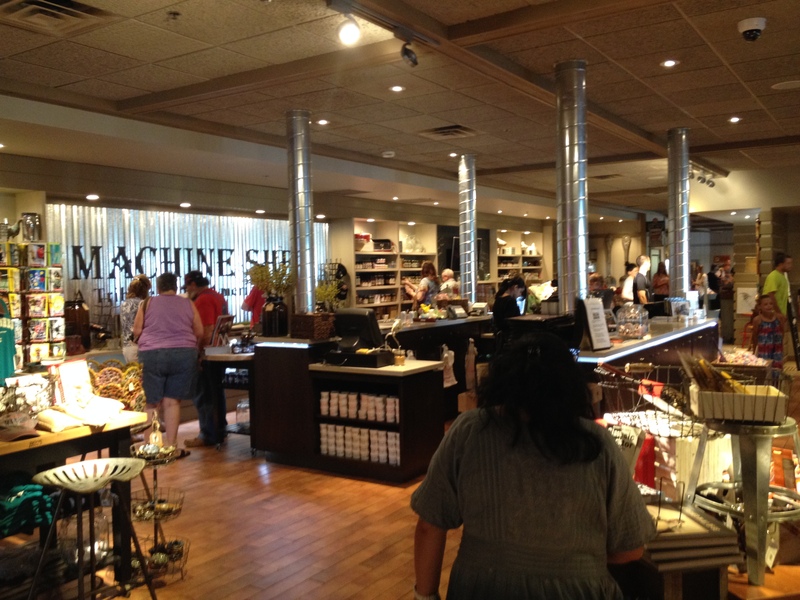 Inside the place, they have a small store that you can browse through while you wait to be seated. 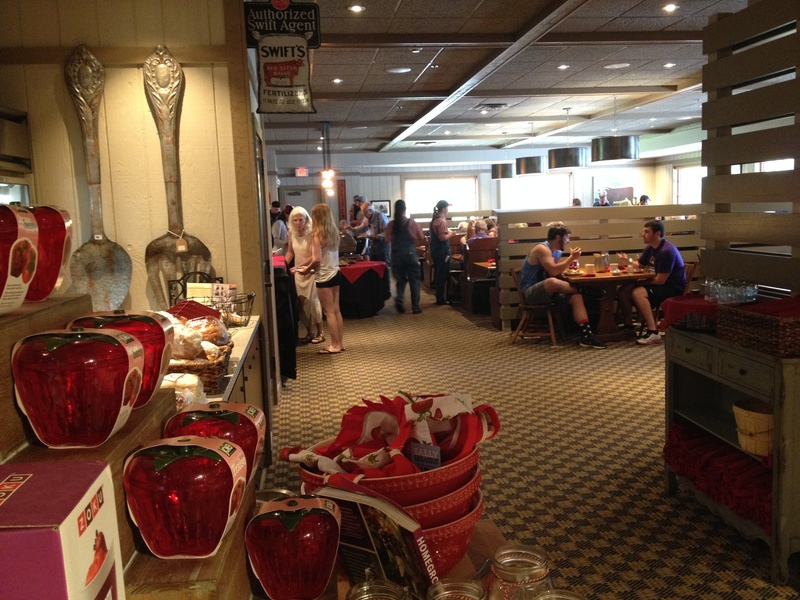 The dining area, the tables and chairs, gives you a feel of a farmer’s kitchen or even a barn. 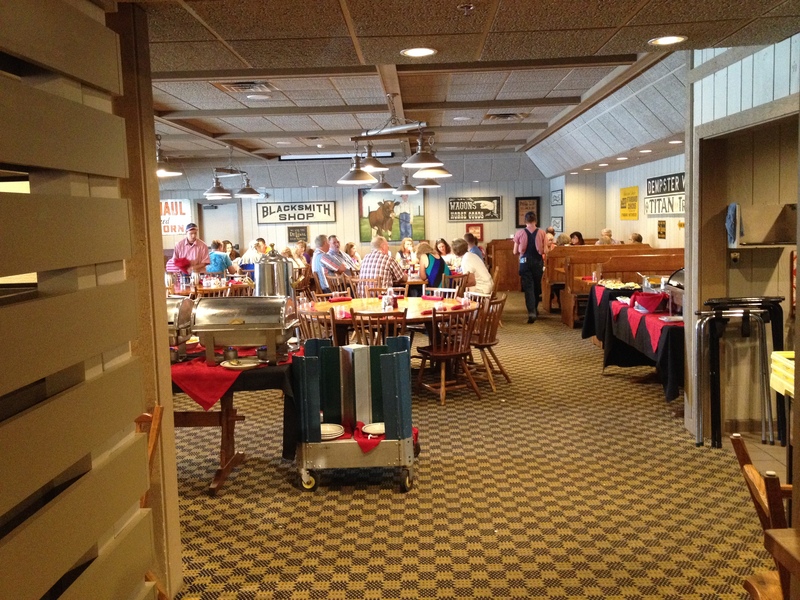 The waiters and waitresses are in their denim overalls, that I wonder if they are dressed to harvest the corn and milk the cow, as well as to serve us our food. Even the silverware and glassware are uniquely farm-like: sturdy and rustic. 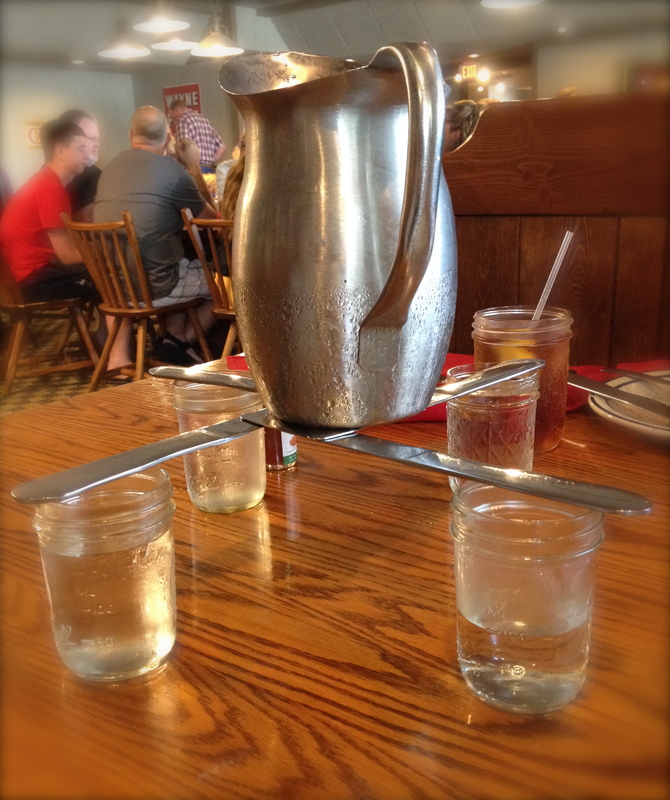 Here’s what my son did to the glass, knives and the water pitcher. Good balancing act! I know that the most important part of the restaurant is the menu and the food it offers. 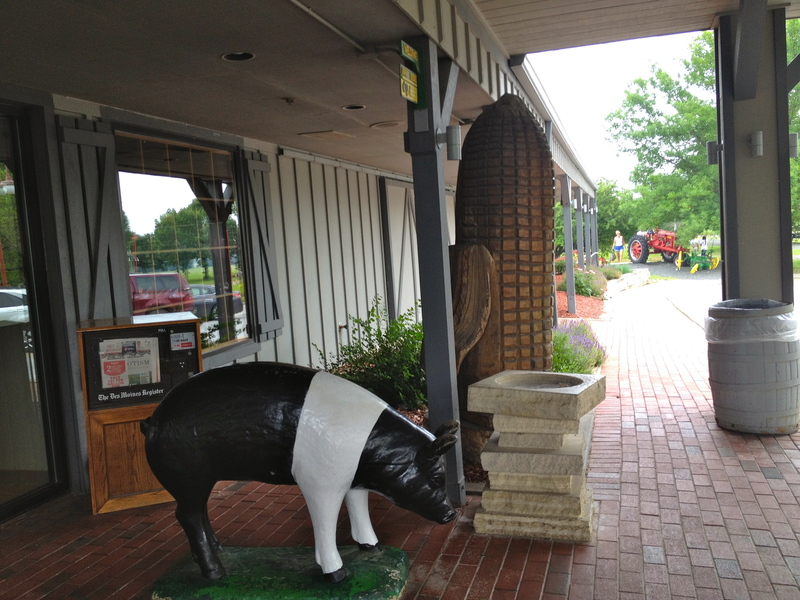 Of course this restaurant serves lots of bacon and pork chops. But I assure you, they offer more than pork chops and corn on the cob. I don’t have any photos of the food they serve on this post, for I intentionally left them out for you to come and visit, and personally see and try them for yourselves.